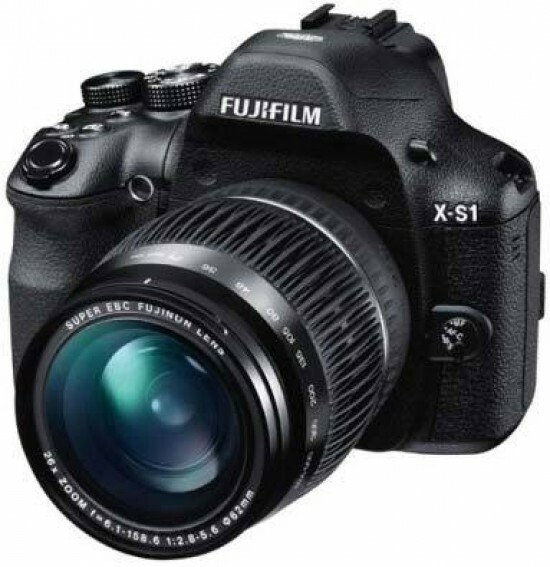 Reviews of the Fujifilm X-S1 from around the web. The very concept of a superzoom is to give an all-in-one package; a camera system that's somewhere between a compact and DSLR that also has a significant zoom range. Enter the Fujifilm X-S1. Although it may look similar to many other superzoom cameras (and you'd be forgiven for mistaking it for a DSLR), underneath the hood is a large 2/3in sensor size (the same as found in the high-end X10 compact camera). The Fuji X-S1 is a prosumer ultra-zoom built around a larger-than-usual 2/3" CMOS sensor and a mechanicaly-linked ultra-wide 26X optical zoom lens with stabilization built-in. This lens is equivalent to an outstanding 24-624mm, reaching beyond most super-telephoto lenses.